Snavi (Site Navigator) provides a wide range of services for international companies considering expanding their business to the United States. With our innovative website and individual consulting services we have created a genuine meeting place for international companies considering industrial development in the U.S. and American communities who want to welcome them. 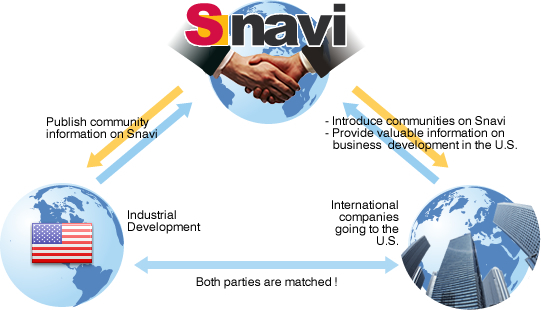 Numerous communities in every U.S. state are introduced on Snavi's website, which enables international companies considering locating in the U.S. to effectively search for communities that meet their needs. Utilizing our experience assisting international companies from all over the world to expand their business in the U.S., we created a list of TIPS which offers useful information for companies planning U.S. industrial development projects. Below is some of the information provided as TIPS on Snavi. We provide the services listed below to support international companies who are searching for development assistance pertaining to U.S business expansion. Based on our extensive experience in the U.S., we can provide various forms of development advice on expanding your business to the U.S. For example, we can develop a detailed Master Schedule that takes you from the beginning stages of your project all the way to the start of production. We will assist you by prioritizing site selection criteria, collecting Community information, accompanying you on site visits, and evaluating each candidate site. We will create detailed reports at every stage that are invaluable during internal discussions. Flow of Site Selection Process in the U.S.
We will assist in obtaining various permits necessary for building your U.S. facility. 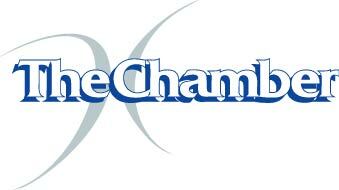 Depending on the location of your site and the types of permits needed, the actual issuance may take several months. The permit process greatly affects project schedules and must be planned with precision. Environmental Regulations in the U.S.